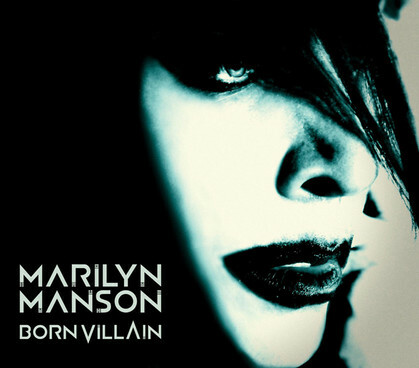 Born Villain is the 8th studio album from shock-rocker Marilyn Manson, and the first released on his own label after his departure from Interscope records (who censored part of his previous album). Its been described as a come back album and this has led some critics to praise Manson’s return to form, and others to lament the sameness of this album- one described it as “Manson by numbers”. It certainly does sound familiar, though with a somewhat heavier bassline than previous albums- the track The Gardener could even be described as funky. Lyrically though the album is something of a disappointment. There is some stuff that will shock and offend, but its shock for shocks sake. While its a stretch to describe Marilyn Manson as a political artist, part of his appeal was always his ability to hold a mirror up to society and cast a critical reflection. Manson was known for exploring the American obsession with the ‘three G’s’ Guns, God and Government- the title of his world tour a decade ago. His previous album, The High End of Low was his most explicitly political with songs like Black and White and We’re From America but there is little in the way of social commentary on Born Villain. As a musician, Marilyn Manson is a good as ever. But the world now is a very different place than at the height of his popularity. Shock rock was a great way to draw attention to things that perhaps we’d rather not think about, but in the years since Manson’s 2003 album Golden Age of Grotesque one hasn’t needed to look to art to show us just how grotesque the modern world is. Since then we’ve been exposed to the photos of torture at Abu Ghraib prison, the Wikileaks video ‘Collateral Murder’ showing journalists being gunned down by American soldiers, and most recently photos published in the LA Times showing other American soldiers taking body parts as trophies. When interviewed by Michael Moore for his film Bowling for Columbine Manson- at that time the center of a moral panic around heavy metal and school shootings- commented “the President was shooting bombs overseas, yet I’m a bad guy because I, well I sing some rock-and-roll songs, and who’s a bigger influence, the President or Marilyn Manson? I’d like to think me, but I’m going to go with the President.” Perhaps in 2012 people are pointing fingers in the right direction when it comes to the horrors of the world, and shock rock scapegoats like Manson are not going to get the attention they once did.Concurrently, the alienation and isolation that Manson tapped into the late the 1990’s to create a fan base is not there to the same degree- while no doubt these things still exist, especially with the uncertainty many young people face about their future, social movements like the Indignados and Occupy are giving people hope in away that means there isn’t a ‘despair audience’ to coin a phrase so much as their once was. As such Born Villain is unlikely to bring in new fans, but if you are an existing fan its definitely worth of rotation among previous albums.